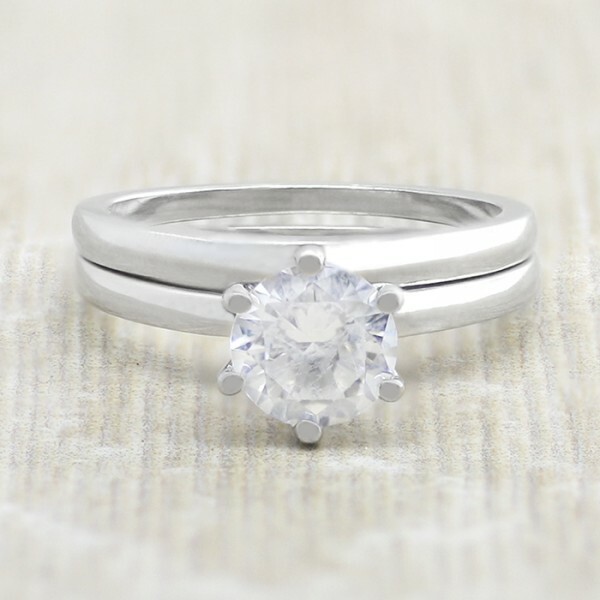 Tiffany-Style 6 Prong Solitaire with 1.49 Carat Round Brilliant Center and One Matching Band- 14k White Gold - Ring Size 7.5 was added to your cart. A Round Brilliant cut Contemporary Nexus Diamond dazzles in the six prongs of this classic solitaire engagement ring. The comfort-fit band's rounded edges and graceful lines make it as comfortable as it is beautiful. The matching band completes this bridal set.